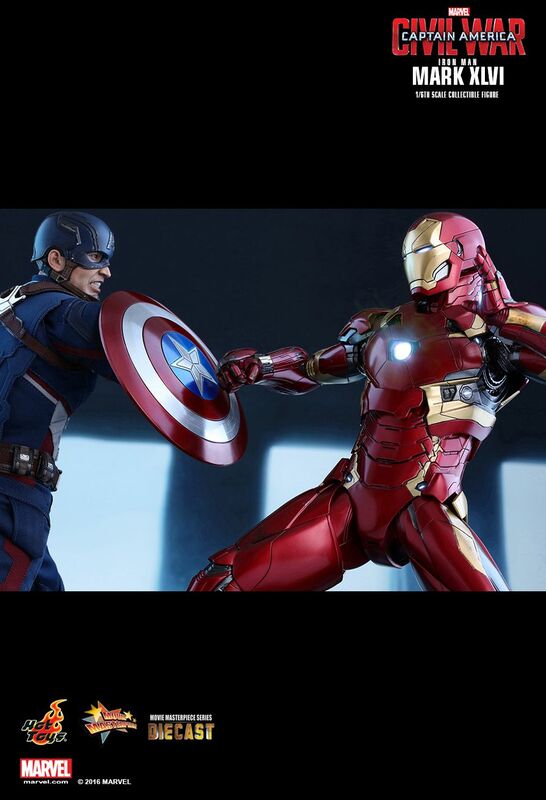 Fans around the world will witness the fracture of the Marvel Cinematic Universe in Marvel’s latest blockbuster Captain America: Civil War. 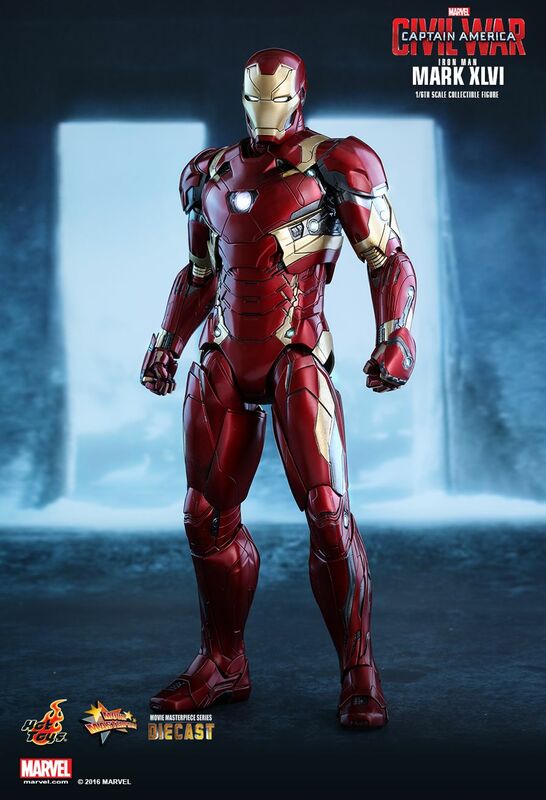 As the Avengers continue to protect the world, the team becomes divided into two opposing factions, one led by Captain America and another by Iron Man, after extensive collateral damage prompts the government oversight and accountability for the Avengers! 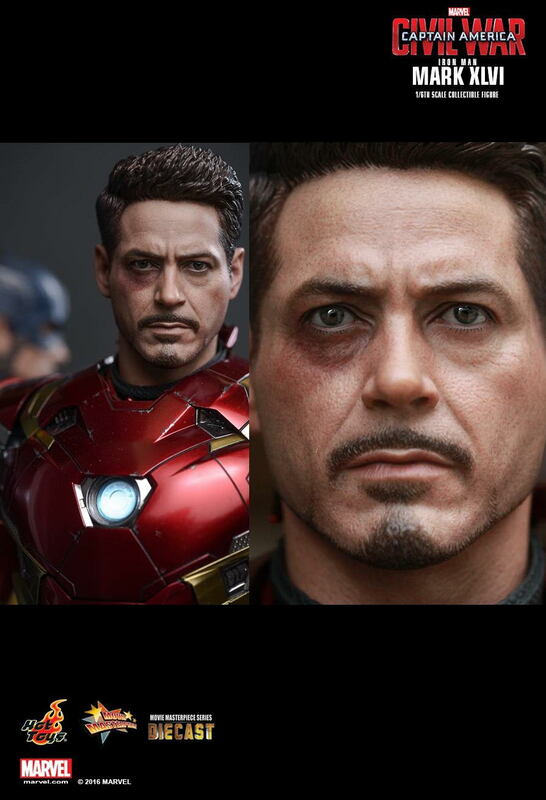 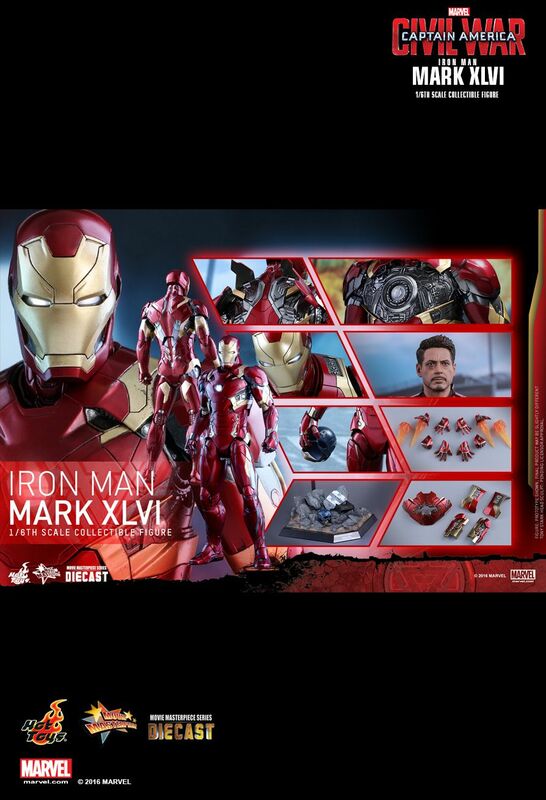 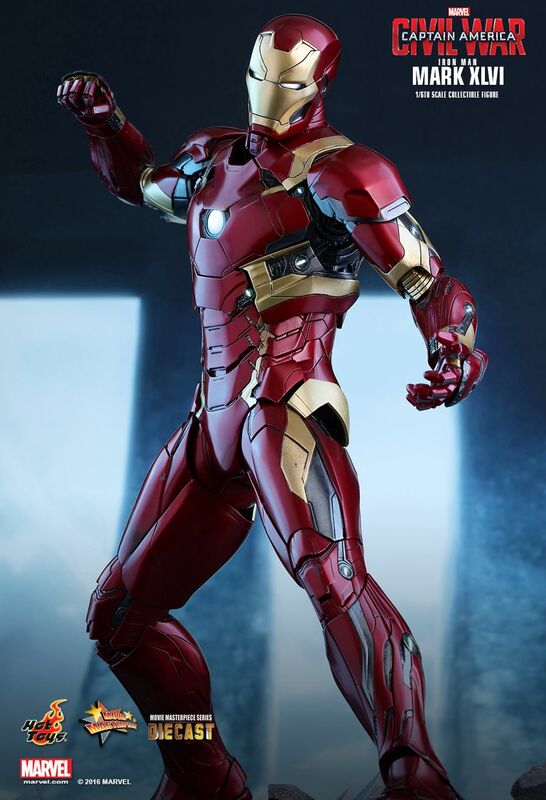 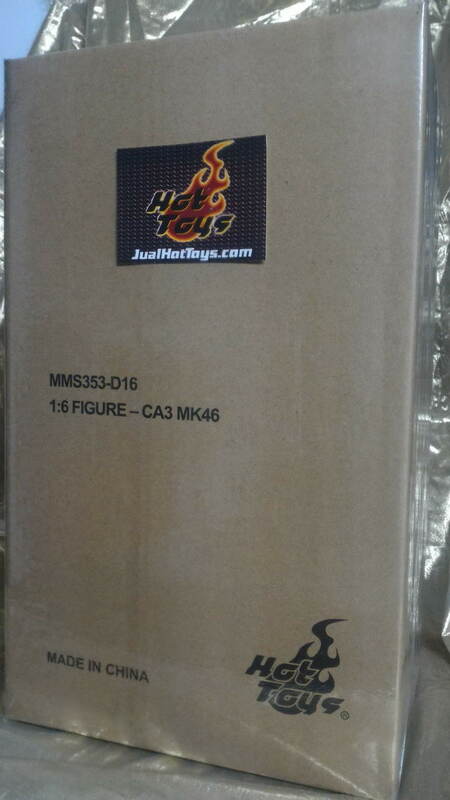 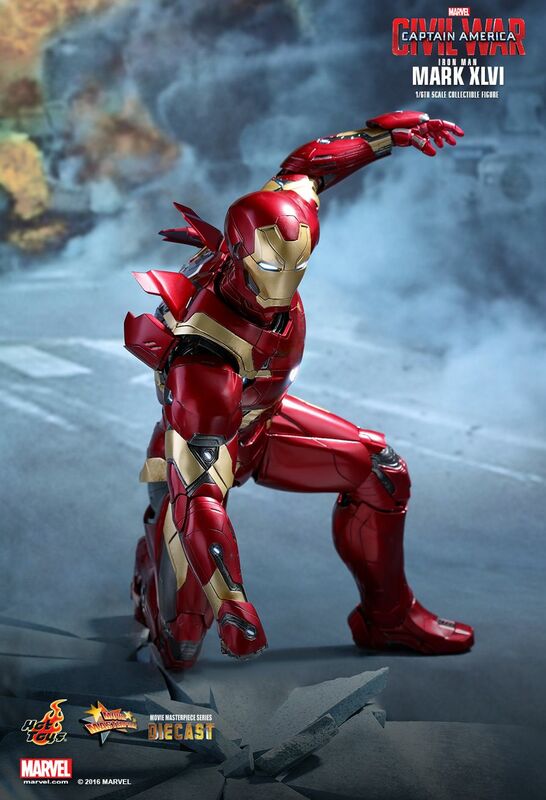 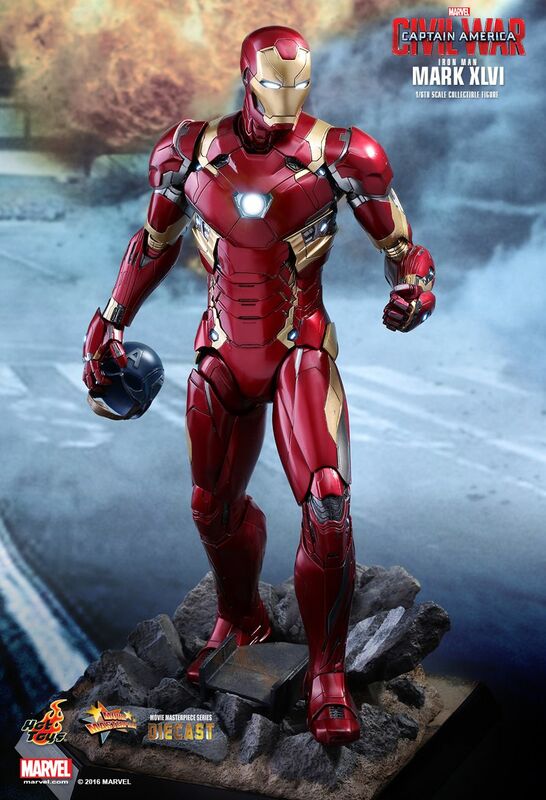 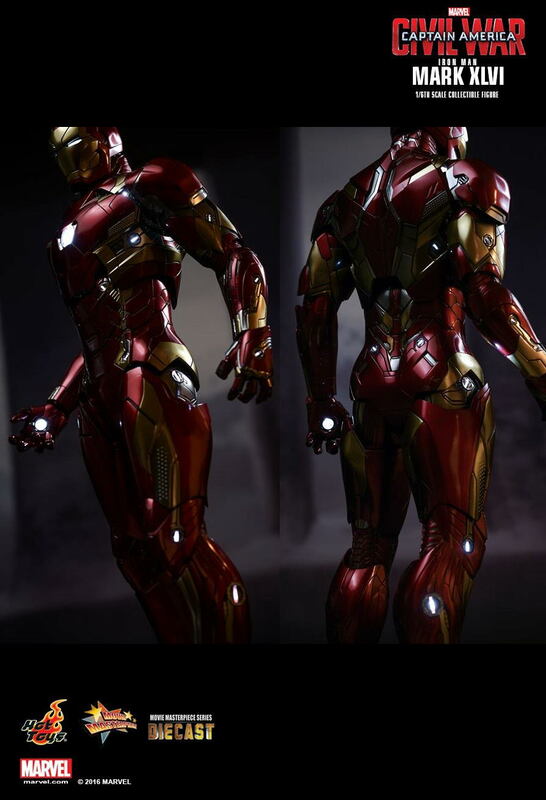 Today, Hot Toys is thrilled to officially introduce the 1/6th scale collectible figure of Tony Stark’s new Iron Man armor – the Mark XLVI to our MMS Diecast series which the collectible figure is made of diecast material, and realistically designed to look even more like the armor as it appears in the film.